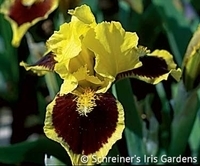 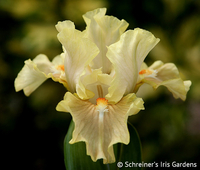 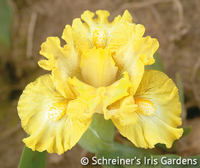 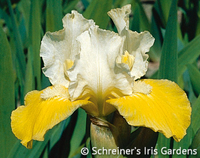 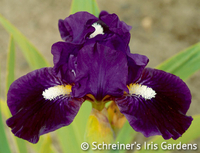 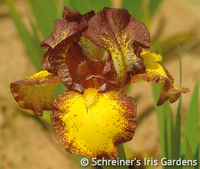 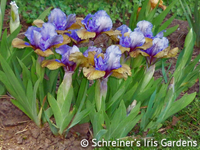 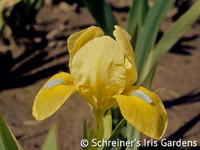 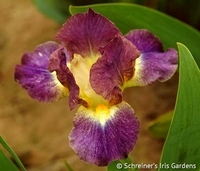 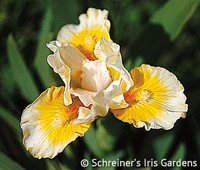 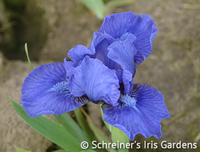 Those among us Iris lovers who can hardly wait for the year’s season to start have merely to plant some Dwarf Bearded Iris to enjoy Iris blooming with the first inkling of spring warmth. 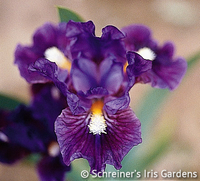 These cute rascals (5 to 15 inches in height) produce perfectly formed flowers in miniature. 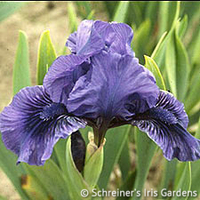 Ideal subjects for edging and fronts of borders, Dwarf Iris can also be used to great advantage in rock gardens. 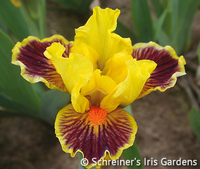 Dwarf Iris add immense pleasure to any Iris planting, yielding a beautiful early spring display. 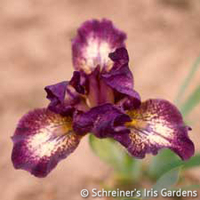 Look for stem height, listed in inches, in the descriptions for each cultivar.